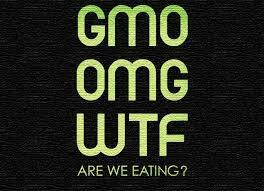 Genetically Modified Organisms (GMOs). Shake My Head (SMH). 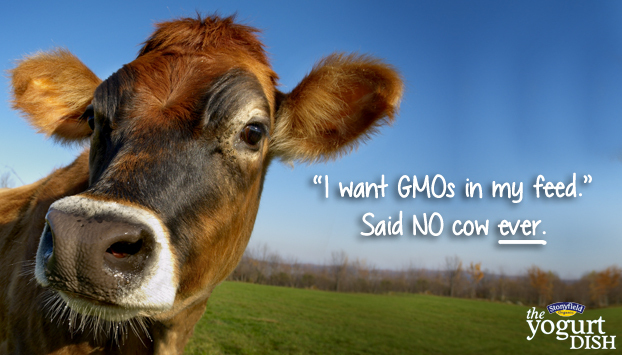 The controversial pro-GMO vs. no-GMO hysteria has a lot of people talking. Especially for us here in CornVille (aka Indiana). Let’s talk food. Of course it is better to increase fruit and vegetable consumption whether or not it is organic- but think you know what’s on your plate? Inspired by my Public Health Nutrition Text, pg. 58: “Food is not a constant thing. Vitamin content can vary… Farming techniques also change our food supply on the most basic level. A cow fed a corn-based diet is not nutritionally the same as a cow that grazes on grass. We may think we are comparing the proverbial apples to apples, but in reality often those apples have very different nutrient contents.” Maybe that’s not the nourishment you think it is… let’s find out! What are GMOs? 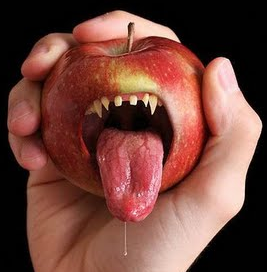 GMO=Genetically Modified Organism. 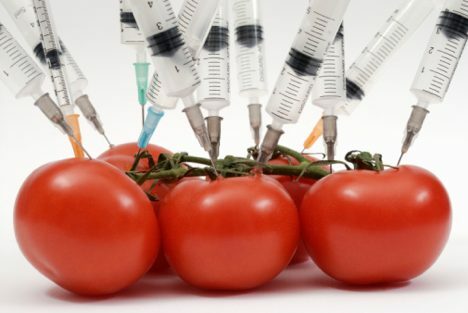 According to Monsanto’s website, GMOs are plants or animals that have had their genetic makeup altered to exhibit traits that are not naturally theirs. In general, genes are taken (copied) from one organism that shows a desired trait and transferred into the genetic code of another organism. Hold up- what is Monsanto? According to the Huffington Post, Monsanto is one of “The Big 6” chemical companies including Dow, Dupoint, Syngenta, BASF, and Bayer. It was founded as a drug company, and its first product was saccharin for Coca-Cola – a derivative of coal tar that was later linked to bladder cancer. The Huffington Post describes Monsanto as a company who manufactures the world’s most destructive chemicals, and is a pioneer of biotechnology; their first product being artificial recombinant bovine growth hormone (rBGH), and they have sued companies for labeling their products as “rBGH-free”. Why care? A lot of our food is genetically modified to resist bugs and grow bigger, brighter, and sweeter in all kinds of weather. In Indiana, most farmland is GMO corn and soy. The “big 6” companies have a lot of power here. Our Indiana farmers need to do everything they can to maximize their profits- that means with every new chemically altered seed that comes out- they better invest if they want success. It is brilliant what these companies have come up with, but there are some adverse outcomes worth discussing. Disease and allergies- Fact is- researching health outcomes based on food consumption is difficult. There are so many barriers and variables. Studies have been done by the FDA and the CDC that did show allergy and inflammatory responses from people who consumed genetically modified corn products, but they concluded, “These findings do not provide any evidence that the reactions that the affected people experienced were associated with hypersensitivity to the Cry9c protein (a protein genetically modified into the corn). The difficulties of this investigation highlight the importance of evaluating the allergic potential of genetically modified foods before they become available for human consumption.” Funny thing is about this conclusion, we eat GMOs all the time, and nobody evaluates their allergic potential. All the evaluations I could find end in questionable conclusions like this. Nobody even lets you know your food was messed with. And I won’t go into the science- but you are what you eat, and if you mess with the genes of your food, the potential for mutated genes certainly increases. #cancer. Other Countries, Education, and The Environment: GMOs are required by law to be labeled in lots of countries including Europe, Australia, and Japan. Why not America? Is there something they’re not telling us? 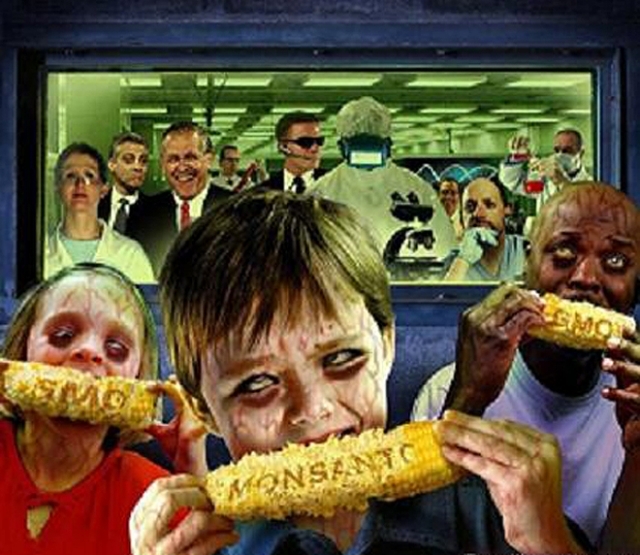 Why would they not want something labeled GMO if they are so safe? GMOs are in almost every packaged food- it’s about time us ignorant Americans actually knew what we were eating. Might I add the disruption to the soil, and the superbug insects that these technologies could be creating? and beware of dairy products, which may come from cows injected with genetically modified bovine growth hormone, and meats from animals (including farmed fish) that have been fed genetically modified foods. Look for dairy products labeled No rBGH or rBST, artificial hormone-free, or organic; wild-caught fish; and meat labeled organic or 100% grass-fed. This was a hard article for me to write, because I know and love a lot of people in the ag business. They are kind, whole hearted people, and truly do want the best for the world. I came to Indiana to see their side of the story. However, as a dietetics student, it is up to me to educate about exposures to various foods, and the possible outcomes. There is a difference between a farmer, and a global chemical corporation. Let’s do what we can. We can talk to our food providers and parents about starting to grow our own food and consume more local, organic food. We are the promising future. 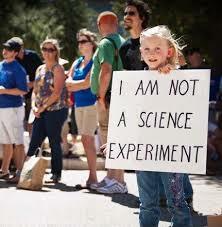 Not a science experiment. I loved this post! Get with it America! I understand the dilemma being here in “Cornville!” I’ve lived here my whole life and know many people in agriculture so it’s hard for me to have different opinions than some people regarding GMOs. As a future dietician I will recommend organic as much as possible and hopefully labeling will change soon! That’s so cool to hear Anna! 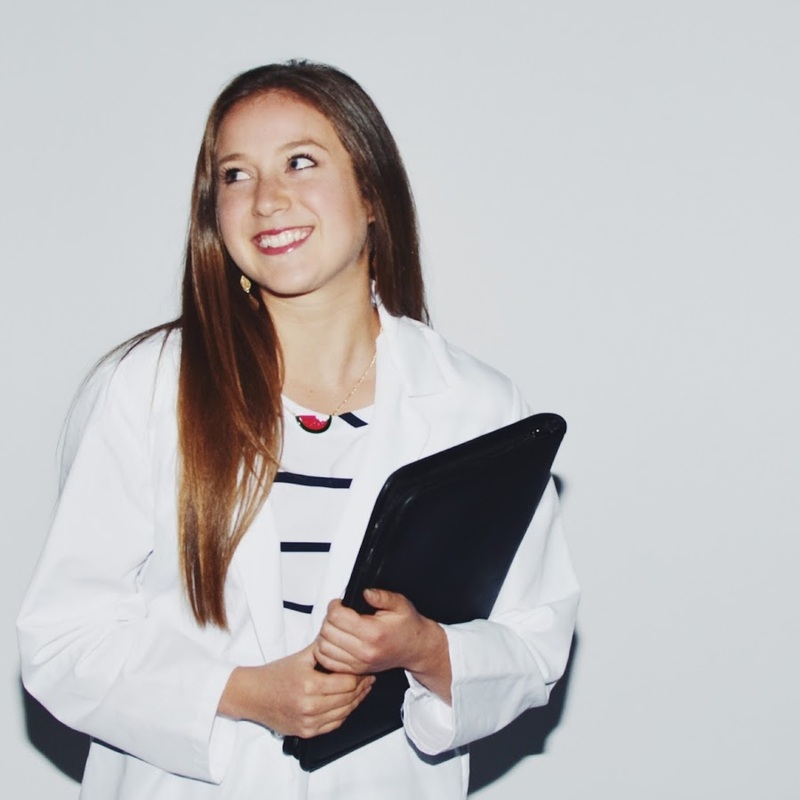 As a future dietitian from Indiana, you have a very powerful voice! I can’t wait to recommend organic as well! Owen made me realize even getting people to switch to grass fed meat makes SUCH difference!!! Saving the world, one small inspirational influence at a time! ❤ With love organically 😉 xoxo! Gmo food will probably turn out like tobacco. Big companies lying to us for their profit while the public suffers. Hope so- sure looks like it is heading in that direction. Loved this! My botany professor spent a good two weeks talking about GMOs and in the end let us students decide what to think. I understand there is a need for increased crop yield and GMO’s also allow for fewer pesticides, but they create much bigger socioeconomic and public health problems. And then there’s Monsanto… Oh gosh, don’t get me started on Monsanto. I could rant about GMOs for hours… 🙂 Anyways, props to you for putting this out there!